Show your partner, spouse, or secret crush how much you care with this delightful Valentine&apos;s Day gift bundle. 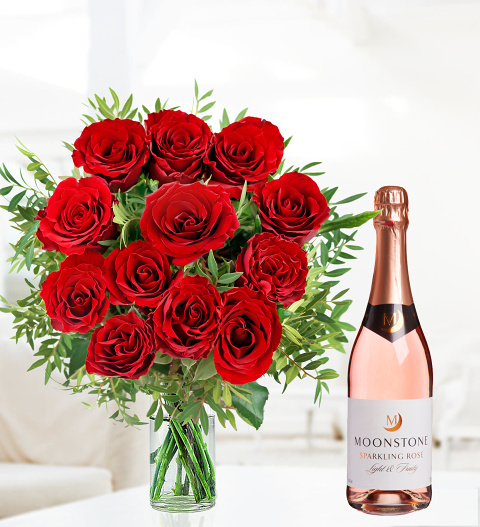 We have included 12 of the finest red roses and a bottle of sparkling rose to top it all off. This is one gift that will make anyone smile! Upgrade Option 2 - diamantes + Love Heart Chocolates may contain nuts.